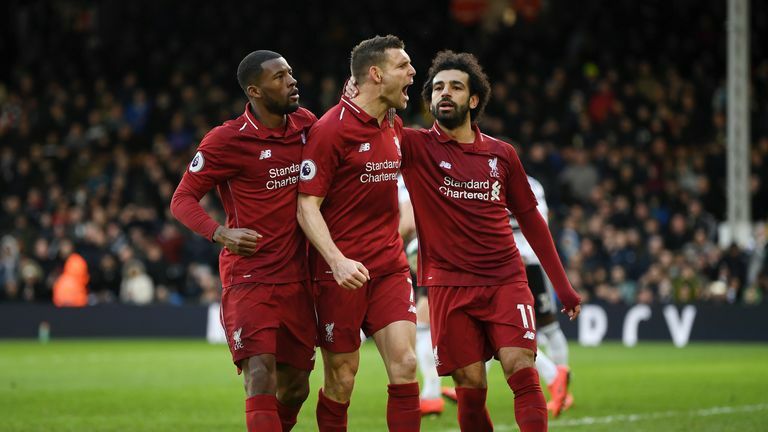 Former Liverpool captain Sami Hyypia believes the race for the Premier League title will go right down to the last day of the season. 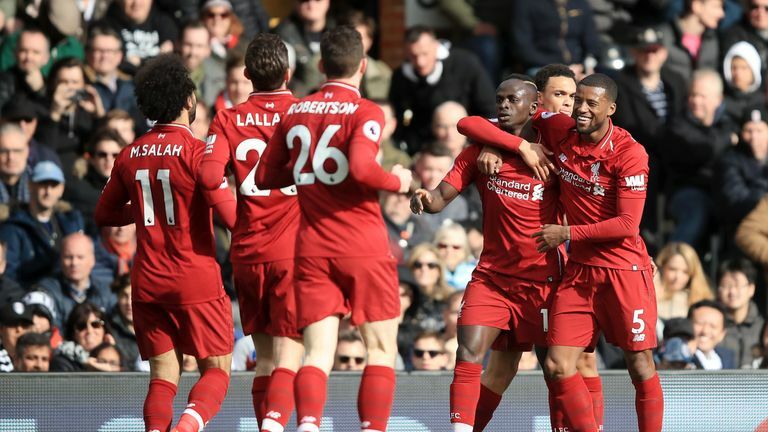 Top-of-the-table Liverpool are chasing their first league crown in 29 years but defending champions Manchester City can return to the summit with victory against Fulham, live on Sky Sports Premier League next Saturday. Boyhood Liverpool fan Hyypia won 10 trophies in 10 years on Merseyside and the Finn is desperate to see his old club lift the Premier League title at the end of the season. "It's going to be an exciting end to the season," Hyypia told Sky Sports News after playing for Liverpool Legends against Milan Glorie at Anfield. Former Liverpool midfielder Patrik Berger says he sees no reason why the club can't win the Premier League and Champions League double this season. "I don't think City are going to drop many points and we can't [afford to] drop many points either, so I think it's going to go til the last game. "That would be great to fight right until the end and I'm hoping we are going to do it this year." 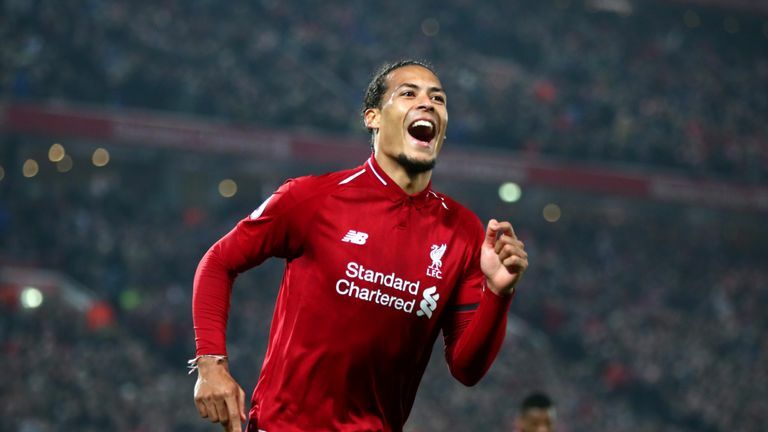 Widely regarded as Liverpool's best defender of the Premier League era, Hyypia confesses to being a big fan of current Reds centre-back Virgil van Dijk. He said: "Alisson came in the summer and we made some good signings in the midfield as well, but I think Virgil van Dijk is the most important player for the team. "He makes the other players play better and he gives a lot of confidence to the others as well. He's such a good player." More than 50,000 fans turned out for the Liverpool Legends charity game against Milan Glorie, which was staged to raise funds for the club's official charity, the LFC Foundation. Steven Gerrard scored a last-minute winner in front of The Kop to help the Reds to victory over a team comprised of AC Milan legends including Andrea Pirlo and Brazilian duo Kaka and Cafu. Robbie Fowler and Djibril Cisse were also on target in a 3-2 win for the Liverpool legends. Gerrard was thrilled to get a last-minute winner in front of the Kop as he helped Liverpool Legends to a 3-2 win over Milan Glorie on Saturday. "It's always a special time to come to Anfield, especially when it's full, and just put the kit on," Gerrard told Liverpool's official website. "To play against Milan with all my ex-team-mates, and to get the winner, is obviously a special feeling. Thanks to everyone for coming out and supporting all the boys. "The lads give up their free time - they could be with their families elsewhere but they want to come here for a good cause and to entertain the supporters. Well done to all the lads."